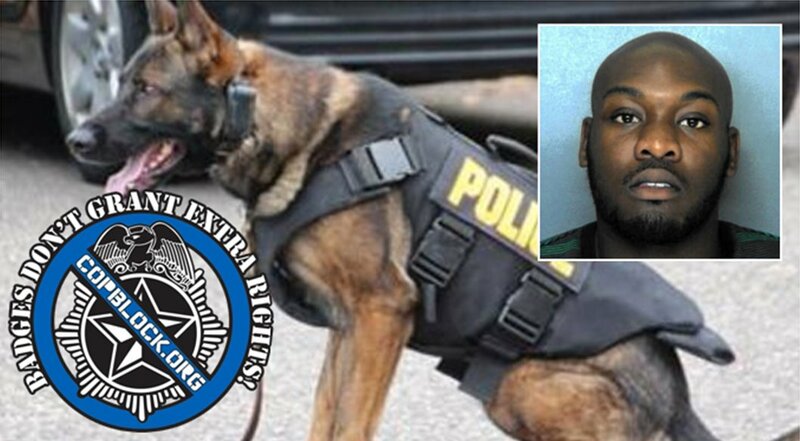 Officers accused a Florida inmate who died from a police dog bite infection of faking being sick and refused to give him adequete medical care hours before his death, jail records show. Twenty-two-year-old Max Gracia was bitten by a K9 during an arrest on Aug. 6 in which officers said he committed an armed robbery and then attempted to flee. He was chewed on for about three minutes before freeing himself and jumping into a lake. Gracia had contracted an E. coli infection and died in a hospital the next morning. According to his autopsy, Gracia went into septic shock, which can lead to organ failure and exceptionally low blood pressure. Gracia was then ordered to move to a different cell with a camera so jailers could “better ascertain the validity of his proclaimed illnesses,” records say, and a supervisor cited him for lying on the ground and “groaning in a lethargic manner” instead of moving. Cpl. Gwenetta Garrett said she and other officers commanded Gracia to get up but “he continued to moan and appear unresponsive to the commands.” He was found unconscious in his cell the following day, and expired later in the hospital. Following Gracia’s death, investigators found that jail nurses failed to uphold medical standards in the their treatment of the inmate, but no civil litigation has been filed yet by his family. The nurse who accused Gracia of “faking” has now resigned and two others have received reprimands. Orange County officials said Gracia’s death has resulted in changes within the jail that includes more training for medical personnel on how to identify and treat sepsis.